FORT MYERS, Fla. (AP) -- A new Boston manager opened up Red Sox spring training with a smile on his face, and began the festivities with talk of changing the culture and turning the page. FORT MYERS, Fla. (AP) — A new Boston manager opened up Red Sox spring training with a smile on his face, and began the festivities with talk of changing the culture and turning the page. 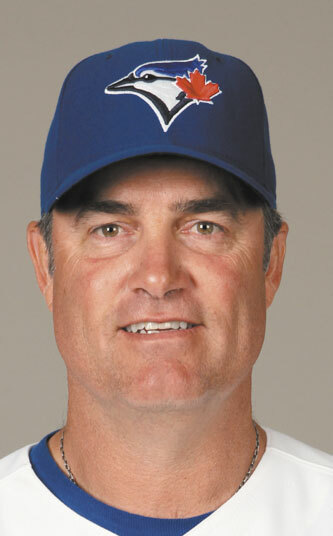 New manager John Farrell gets his chance this season, an at-bat that Bobby Valentine struck out with last season. Farrell met the media on Tuesday at JetBlue Park — the same day pitchers and catchers reported — and spoke about new beginnings and a new era in Red Sox baseball after the franchise missed the postseason for the third straight season last year. The Red Sox, under first-year general manager Ben Cherington and Valentine, stumbled to a 69-93 finish last season. There was controversy in the clubhouse, there were several trades to rid the club of veteran payroll, and there were eight straight losses to finish the season. Of course, Day 1 wasn’t without news. A year after injuries ripped through the club, right-hander Clay Buchholz suffered a right hamstring strain and is considered day to day. But pitchers and catchers weren’t the only players working out. A determined David Ortiz, eager to rid himself of the nightmare that was 2012, was among the early arrivals. Many of the new veterans are regarded throughout baseball as high-character players. That’s something that should help the team’s clubhouse culture which started to sour in the historically disastrous finish to 2011, when the Red Sox went 7-20 in the final month to miss the playoffs, essentially ending Francona’s tenure. But of all the offseason acquisitions, Farrell will likely have the biggest impact. A former Boston pitching coach from 2007-2010 who left to manage the Blue Jays for two seasons, he needs to undo the memories of Valentine, who often clashed with his players and the front office staff. Ortiz was one of Valentine’s biggest supporters last season. But in the offseason, Valentine said in an interview he thought Ortiz, who missed 35 games with a right Achilles strain, quit on the team. “A lot of players had a lot of issues with our manager last year,” Ortiz said. “We have a new manager, a guy that’s familiar with the organization, a guy that we’ve pretty much grown up around. An organization, a team, is like the human body. If the head is right, the body is going to function right. But if the head is messed up, then the body is going to be all over the place. Others, however, chose to stray from the Valentine excuse. “None,” said second baseman Dustin Pedroia, when asked how much blame should be placed on Valentine. “He didn’t play. It’s the players. Bobby didn’t go out there and get any hits or make any errors or do any of that. We lost those games. It’s on us. The Red Sox lost nine of their final 10 games last season, and finished 26 games behind the New York Yankees, who won the American League East. One of the new players is catcher David Ross, who returns to the Red Sox after a brief eight-game stint in Boston in 2008. Ross, who turns 36 in March and is a veteran of 11 seasons, was the team’s first offseason signing. It’s that kind of attitude the Red Sox hope catches on.